Before the interview was a story I'd never forget. So let me please take you back to where it all started. It was in the year of 2015 when I handled a Developmental Social Enterprise Awards - a volunteer work with BCY Foundation in partnership with ADB. I was acting as the Project Coordinator then, a sheer luck position entrusted to me provided I did not have the expertise in doing Project Management. (Take note, this was back in 2015, and I was still doing SAP technical work full-time). But the world was too kind and everything went smoothly: from securing partnership to gathering volunteers and executing the plan. To top it all up, I was even fortunate to get Ms. Lexi Schulze to be our host, pro bono! That's when I first met her, the ANC host and TV personality. For her to do it pro bono made me exceptionally grateful that I wanted to offer something special and hopefully, equally extraordinary. 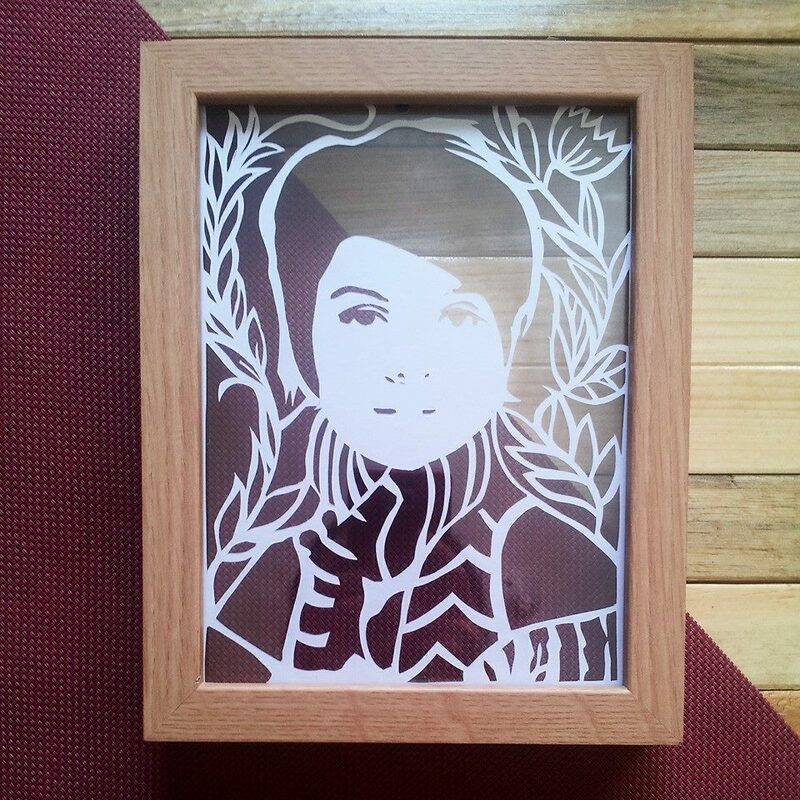 Hence the birth of my first portrait papercut. Two years after, I met again with Ms. Lexi. This time, she's wearing the host hat in her own program, Shoptalk, on ANC. Believe it or not, I was the guest interviewee for the segment Making Money out of Passion. Ms. Lexi: Is this your first time? Ms. Lexi: 'Cause you look nervous. Breathe. It's just like making kwento. Also, don't hide your face. Blinding lights flashed and the cameras started rolling. I could not remember how I managed to survive the longest 15 minutes of my life with everyone's eyes in the set staring at me, at us. But that's life, isn't it? We simply survive. Some info they posted about me. Yes, now a full-time Project Manager, part-time university instructor, papercut artist, and an MBA student. I was at a loss for words in telling the world about my craft. Do you know the feeling when the word seems to lose its meaning as soon as it leaves your mouth? That is. I wonder if I even made sense. Again, let me put emphasis on what I said... Try different arts until you finally find that something you can call your craft. 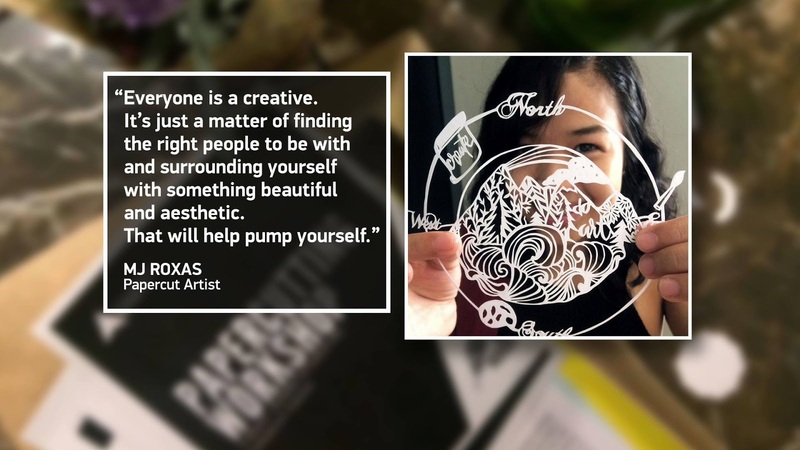 Find inspiration from your surroundings; but hopefully the way people receive and perceive your works would not define how you'd like to proceed. Do it for love and do it well. The rest just follows. PS. I highly believe that I'm not the right person to say anything about this. For one, I am just starting. But if my humble beginnings would inspire people, then let this be an inspiration. Feel free to ask me any questions, I'd be happy to answer and provide guidance in any way I can. Full video aired on 17 Nov 2017 but is still available on iwantv.com.